Dr. Rasha Kelej, CEO of Merck Foundation entering the National Cancer Institute along with alumni students from Ghana, Namibia, Liberia and Rwanda, registered with the Master Degree program in Medical Oncology under Merck Cancer Access Program. Dr. Rasha Kelej, CEO of Merck Foundation with Prof. Dr. Hatem Ahmed Aboulkassem, Dean of National Cancer Institute(on her left), Prof. Abdel-Rahman Zekri, Vice Dean of National Cancer Institute (on her right) and Alumni from Ghana, Namibia, Liberia and Rwanda, registered with the Master Degree program in Medical Oncology under Merck Cancer Access Program. Dr. Rasha Kelej, CEO of Merck Foundation with Prof. Dr. Hatem Ahmed Aboulkassem, Dean of National Cancer Institute, Prof. Abdel-Rahman Zekri, Vice Dean of National Cancer Institute during the meeting. Merck Foundation, the philanthropic arm of Merck Germany partners with Egypt’s National Cancer Institute to provide Master Degree in Medical Oncology for African doctors. This initiative is a part of Merck Foundation’s ‘Merck Cancer Access Program’ that has been initiated by the Merck Foundation to increase the limited number of oncologists across Africa. Dr. Rasha Kelej, CEO of Merck Foundation emphasized, "We are pleased to announce our partnership with the National Cancer Institute, Egypt, which is considered as the benchmark of Cancer Care in Northern Africa and Middle East. We are committed to improve patient’s access to care. We currently have 5 students from Ghana, Namibia, Liberia and Rwanda, registered with the Master Degree program in Medical Oncology under Merck Cancer Access Program. We plan to expand this program to more African countries like, Sierra Leone, Gambia, Senegal, Uganda and Kenya. We believe that our partnership in Egypt will go a long way and together we can play a vital role in Africa." Over 56 medical postgraduates will receive a one-year online diploma in diabetes or preventive cardiovascular medicines, as part of the effort to establish a platform of diabetes and hypertension experts in Africa and Asia . 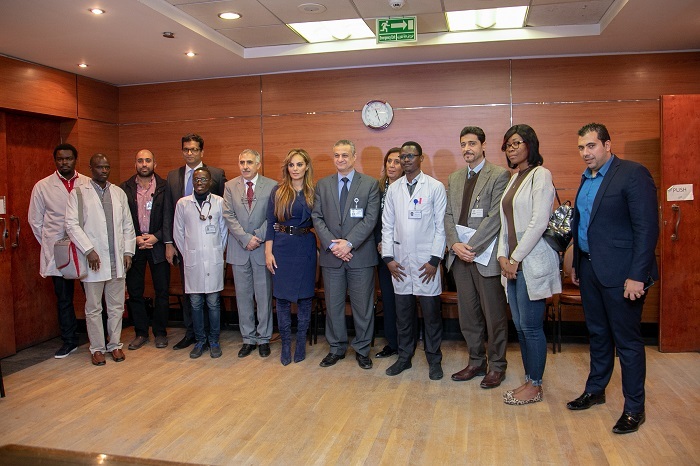 Merck Foundation, the philanthropic arm of Merck Germany partners with Egypt’s National Cancer Institute to provide Master Degree in Medical Oncology for African doctors.